Tomorrow through December 11th the Spokane Symphony Associates present Christmas Tree Elegance at the Davenport Hotel. The festivities start with the tree lighting ceremony tomorrow, Tuesday at 5:30 pm. Gather in the lobby and enjoy one of Spokane's most endearing and beautiful holiday traditions. There is no charge for this event. Viewing of the trees on the Davenport Hotel's Mezzanine is also free from tomorrow through Saturday, December 7. The Symphony Associates will be selling $1 raffle tickets daily from 10 am until 9 pm for your chance to win one of these beautiful and valuable trees. The raffle drawing ceremony will be held Saturday, December 11, 9:30 PM in the Davenport Hotel lobby. Christmas Tree Elegance also features a number of other events. For a complete list go to www.spokanesymphonyassoc.org. DeVries Business Services, the region's leading provider of records management storage and destruction services for hardcopy and electronic records is expanding its services in the Spokane / Coeur d'Alene area through the acquisition of the records storage operations of Bekins Moving and Storage in Spokane and Kees Filing Systems in Spokane. DeVries will offer their new clients continued records management services without disruption, as well as the opportunity to take advantage of additional services. The new customers' records will be stored at a new DeVries Records Storage facility located in Spokane. The phone number is 509-838-1044 and the website is www.devriesinc.com. FAA clears Spokane Tribe's proposed hotel tower in Airway Heights. The Federal Aviation Administration has cleared the Spokane Tribe's proposed height designs for a hotel in their 145 acre mixed use development project on the West Plains. The FAA conducted a thorough review of plans for the proposed building and determined that the structure does not exceed obstruction standards and would not be a hazard to air navigation. "This important review and clearance puts the Spokane Tribe's plans for a major development on the West Plains another step closer to completion," said Greg Abrahamson, Tribal chairman. "This exciting project will bring thousands of construction and ongoing jobs to our region, not just for Tribal members but for all sectors of the community," he added. The Spokane Tribe is continuing regulatory and site planning work for the mixed use project on Tribal land near Craig Road and Highway 2 adjacent to the City of Airway Heights. It will include a Tribal Community Center; a hotel, resort and casino; retail, business and office space, and medical and counseling facilities. The Tribe is working closely with representatives of the U.S. Bureau of Indian Affairs, and the State of Washington to obtain all necessary approvals for the project by mid-2011. It is also working in close cooperation with appropriate local governments. Toast the Season at the INB Performing Arts Center. Here's a great way to have your company's holiday party in a beautiful, festive location, at an affordable price, and help the Salvation Army at the same time. The Public Facilities District presents their annual Toast of the Season dinner, Friday, December 10 at 5:30 pm in the INB Performing Arts Center. The event includes decorations, entertainment and a delicious prime rib and roasted turkey buffet. The cost is $40 per person and proceeds go to support the Salvation Army. For more information and to make reservations call 509-279-7007 or email sales@spokanepfd.org. Design Source celebrates an 80th birthday - of their building. Design Source, one of the area's leading interior planning and interior design firms, is celebrating the 80th birthday of their building, Spokane's 1930 vintage fire station number 9 at 8th and Monroe. Design Source transformed Spokane's 1930 Fire Station No. 9 into an inspiring studio. It was just before the great depression and funding had been agreed upon for the fire station at 8th and Monroe on Spokane's south hill to be demolished. A new fire station was to be constructed to house the modern combustion fire engines. Fire Station No. 9 was officially reopened November 25th, 1930. Eighty years later, the people at Design Source are still sliding down the fire pole. Here's the best deal on skiing and resort flexibility out there. A limited amount of tickets sold in a minimal bundle of 25 at $30 plus tax are available at the four local Ski the NW Rockies Ski areas; 49 Degrees North, Lookout Pass, Mt. Spokane and Silver Mountain. The SKI NW ROCKIES ticket program offers a substantial discount on individual ticket prices and over $2000 of skiing value. Tickets can be used in any combination at any of the four SKI NW ROCKIES members. The SKI NW ROCKIES pass program offers 25 lift ticket vouchers that have no black dates. Lift ticket vouchers can be used one at a time, all at once or any combination thereof. Cost of the SKI NW ROCKIES Corporate Pass program is $750 plus sales tax of $55.13. Contact Tom Stebbins at 509-621-0125 x1 or info@skinwrockies.com for more information or to purchase. Weldon Barber, the Spokane based high-end men's barbershop, has opened the company's eighth shop located in downtown Seattle. The expansion is a result of continued successful growth for the company. The downtown Seattle shop, located at 600 Stewart Street, is located one block north of Pacific Place Shopping Center and across the street from the Westin Hotel. This prime location was selected for its high visibility and easy accessibly for leisure travelers, business clients and downtown residents in need of Weldon's first-class services. Since opening its first shop in Spokane in 2004, Weldon has opened a total of four Spokane locations and three other Seattle area shops in Issaquah, Kirkland and Mill Creek. The company is evaluating other location sites for continued future expansion. The Weldon Barber corporate office is located downtown Spokane and the company employs over 70 professionals. More information can be found at www.weldonbarber.com. Millwood area businesses sponsored by Inland Empire Paper Company will once again host the Annual Millwood City Christmas Tree Lighting Ceremony on Friday, December 3. The program starts at 6:00 PM and includes performances by The Company Ballet dance troupe. Millwood businesses invite the public to join in an old-fashioned tradition of hot chocolate, cookies and caroling to kick off the holiday season. Santa will arrive to light the tree and greet the kids. For further information contact Shirene Young, Inland Empire Paper Company, 509-924-1911, ext 309. Heather Farrell-Lipp has joined the Spokane office of NAC|Architecture as a healthcare designer. With a focus on medical commissions, including tenant improvement projects, Farrell-Lipp will be responsible for planning, conceptual design, detailing and design oversight throughout all design phases of a project. Farrell-Lipp has four years of professional post-graduate design experience and one year of cooperative education experience. She holds a Master's of Architecture degree from the University of Cincinnati College of Design, Architecture, Art and Planning, and a Bachelor's degree in Fine Arts from the Art Academy of Cincinnati. Farrell-Lipp also is a graduate of Denmark's International Study Program. Spokane Public Radio stations KPBX 91.1, KSFC 91.9, and KPBZ 90.3 will open their doors to the public on Tuesday, December 7. Beginning at 4:30pm, the studios will be open for tours, information about public radio jobs, volunteer and internship opportunities, along with holiday treats and refreshments. Enter to win a variety of door prizes from some of our community donors: tickets to see B.B. King, First Night Spokane entry buttons, bags of Craven's Coffee, Sherman Alexie's latest book of short stories, "War Dances," and more. Then, you are invited to stay for the advisory board broadcast from 6-7pm where you can hear and participate in the live call-in meeting when SPR opens up the airwaves for questions and comments from listeners. The 2010 panel will consist of President/General Manager Richard Kunkel, Program Director Verne Windham, News Director John Vlahovich, and Board Chair J. Scott Miller. The meeting is simulcast on all SPR stations. Come put the public in public radio by attending in Spokane Public Radio's annual open house and advisory board meeting. This is your chance to see the staff in action and let SPR know what you want to hear and see from your public radio station. The station is located at 2319 North Monroe Street, four blocks north of Northwest Blvd. above Vintage Rabbit Antiques. Parking is free and available in the lot behind the building. From 6-7pm, the live advisory meeting accepts questions from the studio audience and call-in listeners who phone 328-5729/toll-free (800) 328-5729. Emails will also be accepted until 5pm on December 7 at kpbx@kpbx.org. For more information visit: www.spokanepublicradio.org. Huckleberry's Natural Market presents their Annual Cheese Extravaganza where customers can sample cheeses from around the world, Saturday, December 4th, at Huckleberry's, 926 S. Monroe. 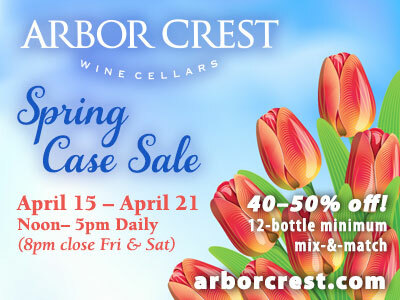 Tastings are 9am-3pm. 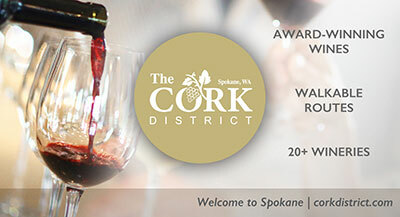 Experts from The Spokane Wine Co. (located inside Huckleberry's) will also offer advice on pairing gourmet cheese with wines.